Hello! 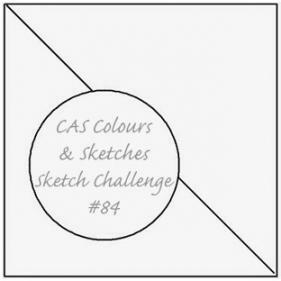 It’s time for another sketch challenge at CAS – Colours and Sketches! As always, the sketch can be rotated or flipped or stretched – so long as we can see the basic elements of the original sketch, it’s all good! I’ve stretched the sketch out into a rectangle and, well, you’ll see soon enough the other modifications I made to it while still keeping my card clean and simple in design. 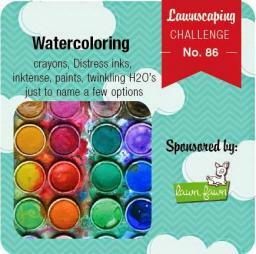 I decided to give the current Lawnscaping challenge of watercoloring a try, too. The quote bubble panel features a watercolor wash, and I colored the cow with watercolor pencils softened with a blender pen. 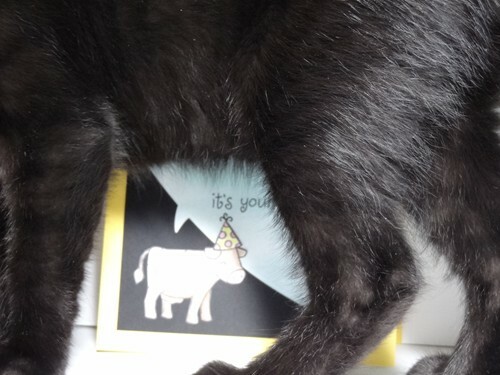 I chose the cow simply because of all my animal images, it seemed to fit best with the sketch. Thanks for stopping by today! Be sure to check out the CAS – Colours and Sketches blog to see what the rest of the design team has done with this sketch. Then make your own card and link it to the challenge post. You have until 1:00 p.m. Eastern time Wednesday, July 30 to participate. We hope you’ll join us! 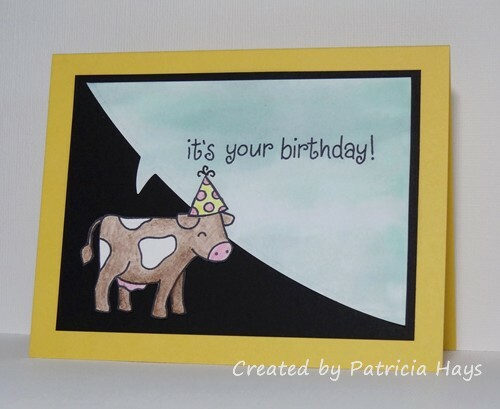 Posted by PH in VA at 4:00 am Cards, CAS Colours & Sketches, Lawn Fawn, Lawnscaping challenges, Mama Elephant, Stampin' Up! This is such a fun card! I love the big word balloon. What a great card. And LOVE the photo bomb by the cat! LOL! 🙂 Thanks for joining us at the Lawnscaping Challenge!